If you do not like to grind coffee, check out this philips coffee maker (senseo)and this is what I got at home as it is more convenient and makes coffee faster. In the past I am a coffee purist and I really source out the best coffee beans and I have bought a new coffee roaster to be able to roast my coffee beans at home. Then I grind it and I brew it afterwards, it takes a lot of time but the coffee comes out really good. 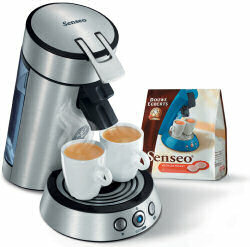 But when I discovered the Philips Senseo, the same quality of coffee is made by this machine with lesser effort.